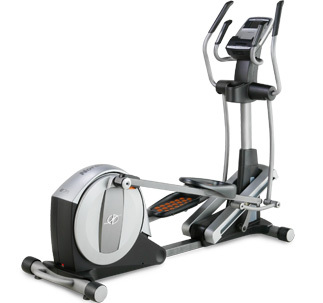 All Spirit Fitness e-Glide Trainers are designed with convenience, comfort, reliability, and aesthetic appeal in mind. 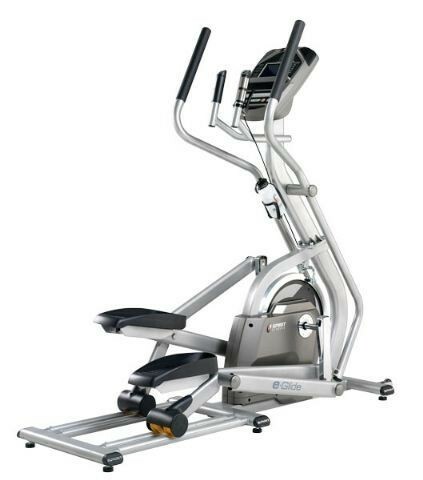 We are confident that if you enjoy the experience � proper ergonomics and biomechanics, a smooth, quiet stride, important workout data feedback, and challenging programs, that you will adhere to a regular exercise routine with whichever e-Glide you choose. 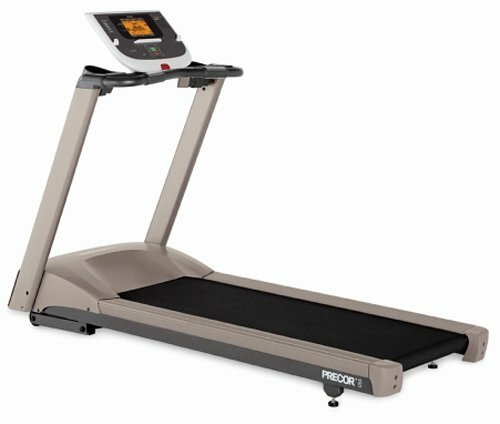 Dimensions-69" x 24" x 66"
Maximum User Weight -400 lbs. Console Feedback-A 7.5� blue backlit LCD screen that conveniently displays 9 pieces of data at a time to keep you informed and motivated. 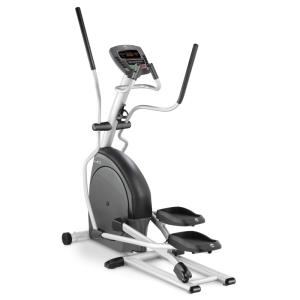 Foot Pedals-Spirit Fitness e�Glide Trainers have an integrated two-degree inward tilt to make your workout more comfortable. This exclusive design puts you in a more ergonomically correct position. Function-Dual rollers that ride on aluminum covered rails create a fluid and quiet experience. Brake-There is a conveniently mounted brake that can be used to quickly bring the linked flywheel to rest for quick, safe dismounting. Direct Drive System- Direct Drive System offers the smoothest possible motion on the market. The flywheel mounts on the same drive axle as the cranks and is directly driven by the pedals through our patented transmission system. Muscle Activation Profile -It�s important to understand which muscle groups are gaining the most benefit during your workout. On our e�Glide Trainers, you will be using your glute (bottom), hamstring (back of your thigh), quad (thigh), calf, pec and arm muscles. The LED lights will activate in three degrees of engagement: Green represents minimal muscle involvement, Amber for medium involvement, and Red, full or heavy involvement. Use this quick reference to challenge yourself during your workout.